signotec, the first German manufacturer of signature pads, has developed a pen pad with a display that can be signed electronically and on paper at the same time. The new ‘Alpha’ A4 pad will be on show to the public for the first time at CeBIT 2013 from 5th to 9th March at the signotec exhibition stand in Hall 3, Stand D25. An A4 signature pad that is not just another monitor is a brand new innovation. Demand is nonetheless high, as many users want to see the full page that they are signing in its original size on the pad. Furthermore, legal experts believe this is essential to achieve the same effect as with an original document. The new ‘Alpha’ from signotec does what conventional pen pads cannot. The device even meets the written form requirement that applies to credit agreements, for example. The signer places the original document on the pad and signs the paper and the PDF simultaneously. Large pen pads are highly sought after by users who want to display complex documents that have to be signed. Delivery notes with several items or multi-page contracts that you can scroll are just two examples. Standard pen pads are just too small for this. 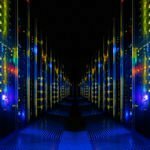 While there are already large devices on the market that enable signing, these are usually just monitor extensions where the signer still sees all the other applications running on it. In contrast, the Alpha is a genuine signature pad. A new technical procedure from signotec makes it possible to sign the electronic document and also meet the written form requirement. The Alpha does not use pressure-sensitive sensors. Rather, it uses electromagnetic resonance technology. Delivery also includes a special pen with a replaceable cartridge. The signer places the original contract on the pad with the displayed PDF and signs both documents simultaneously. “The law requires the written form for a lot of contracts, particularly when it comes to lending and loan agreements. The bank or the retailer therefore always has to sign the original and then scan the document first if they want to process the transaction electronically. The Alpha does all of this in one go,” says Arne Brandes, Managing Director at signotec GmbH. If the paper document is not required as a result of the principle of freedom of contract, the ballpoint pen cartridge can simply be replaced with a plastic one. 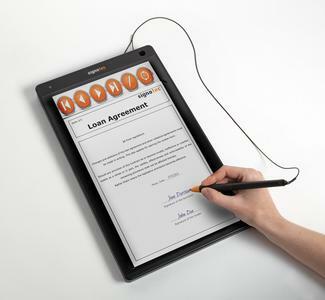 It is then possible to electronically sign full-page documents directly on the high-resolution display. signotec GmbH developed the new pad based on its years of experience in this sector and tailored it to specific practical requirements. The Alpha has the same RSA encryption features as the proven Sigma and Omega signotec pads. The pad digitises and records the direction, time and pressure coordinates of signatures at a very high sample rate. The resulting high data quality automatically guarantees the ability to prove the signature’s authenticity to the highest possible degree. Biometric data supplements the signature image, ensuring 100 per cent authenticity. The transfer of data from the pad to the PC is encrypted, making it impossible for unauthorised parties to spy on the biometric features of the signature. signotec was founded in 2000 and is the market and technology leader in the area of electronic signature using pen pads or tablets. Products from signotec allow the user to sign by hand or electronically, to optimise their business processes, to avoid media conversions, to authenticate people, and to create legally binding documents. Electronic documents signed in this manner can be checked at any time, anywhere and by anyone without incurring any technical costs. 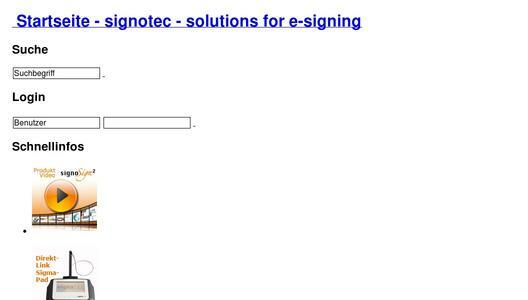 Solutions from signotec keep the recording of signatures as simple and secure as ever. Signatures are recorded directly in the electronic document. 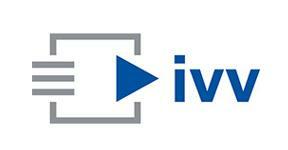 This eliminates the cost-intensive media conversions that arise when using paper. The electronic documents are protected by the digital signature and can therefore be verified as genuine. signotec’s clients include German and international industry customers, retail chains and companies, financial services providers, numerous savings banks and credit unions in Germany, as well as insurance companies and brokers. signotec solutions GmbH was founded in January 2010 against the backdrop of steadily growing international demand. The subsidiary is based in Spielfeld (near Graz) in Austria and supports customers in Southern and Eastern Europe.